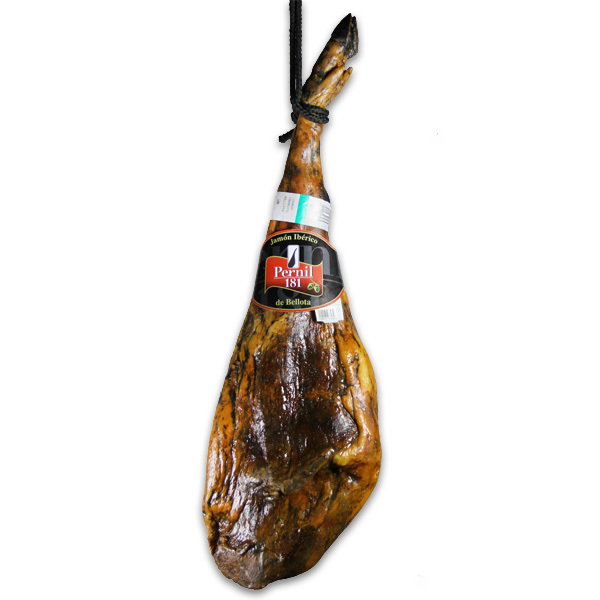 See : Recipes with Spanish ham, serrano and Pata negra. Melon with ham is a dish that is usually used in the spring or summer. 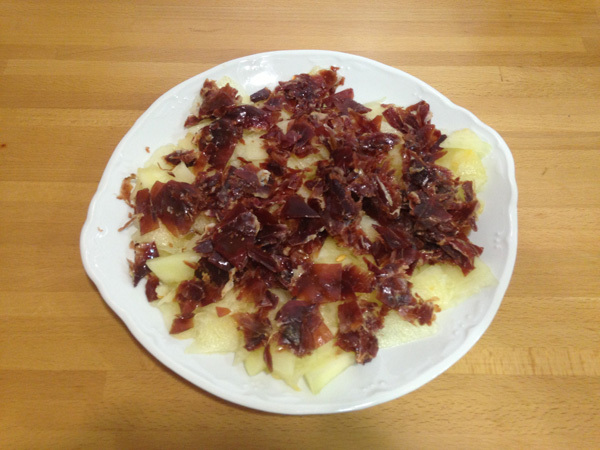 Its main ingredients are slices of melon and ham. 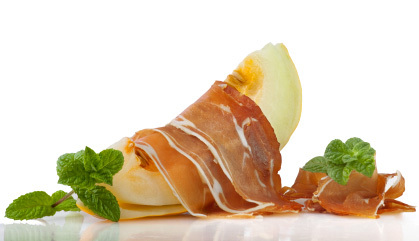 The delicacy of this dish is the mixture of sweet melon with cured ham. Its origin can be located in what used to eat melon with salt and the beginning of the meal. Therefore, the next step might be to replace the salt salty food. 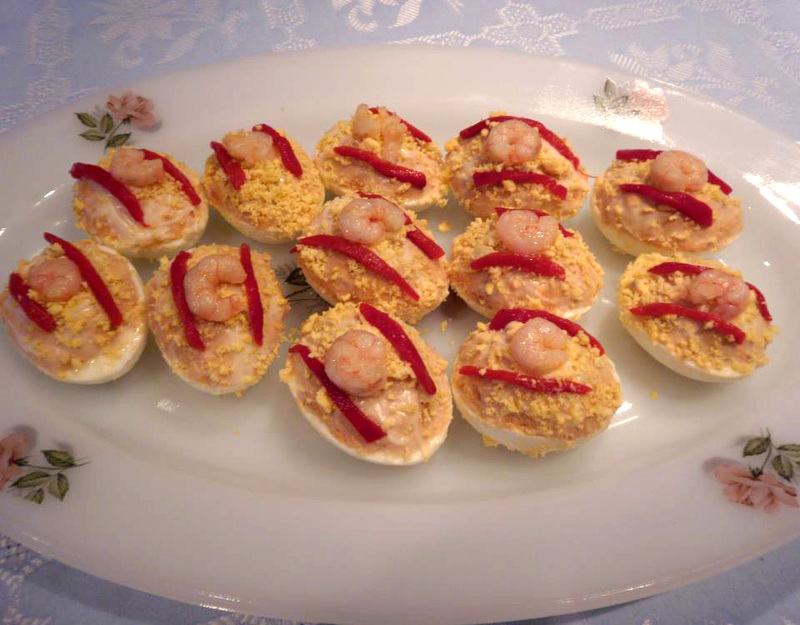 The preparation contains few ingredients, but it was introduced several variations in its execution. For example, there are people who are with the pulp of the melon balls, cut into cubes and other wrap them in slices of ham, or just cut the melon and ham into cubes and mix it as a salad. However, the most innovative recipe is one in which it is a puree of melon and put thin slices of ham on top (other variants also include skewers). In all cases, the melon should be slightly sweet, seedless and cold to provide a good contrast to the ham. It may be accompanied by a sweet wine, or even with cava.